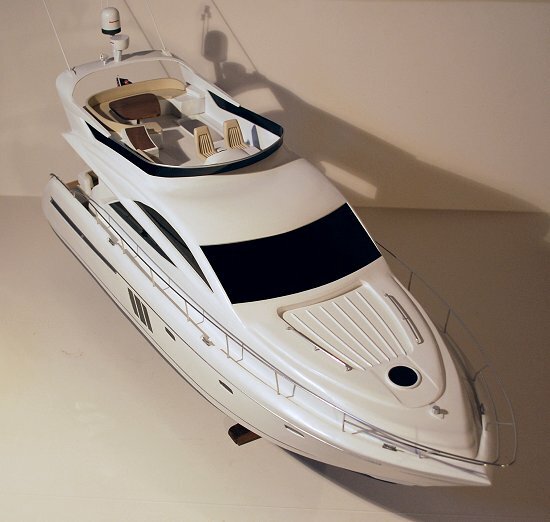 1:20 scale Fairline Phantom 48' motor-yacht model. Notice the metal railings, just like on the full size original. Windows are semi-transparent 'limousine' black.